Are you sick of making huge spending on wooden furniture items? Same was the case with me a few years bag. I was never happy going out to the market to buys some furniture item as their sky high prices always gave me an electric shock. 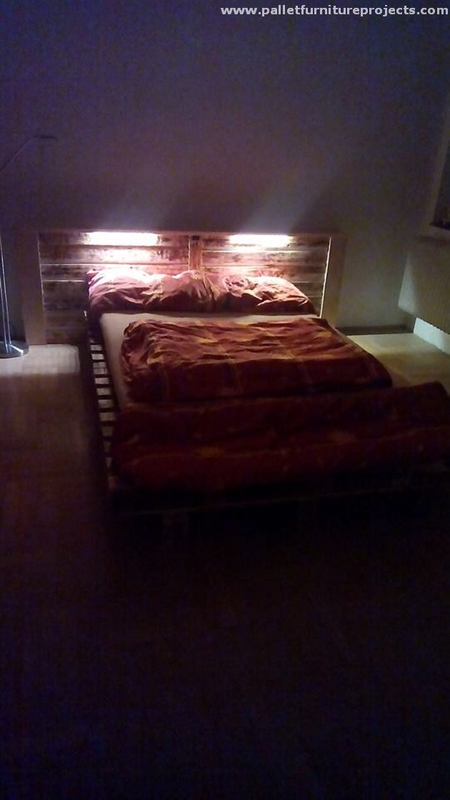 But from last couple of years, I am the one who is giving shocks to friends and other mates by recycling the wooden pallets and making some extra genius furniture plans that are equally comfortable, durable but still damn cost effective. And my friends are appreciating them whole heartedly and want me to make them aware with the basics of pallet recycling. Today I am onto something that is the need of every small and big house. 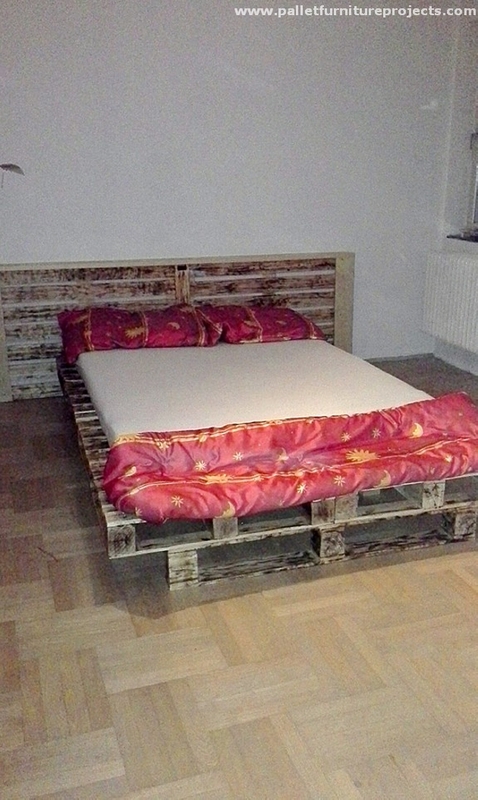 A stunning wooden pallet bed idea. A room bed is essential for every room in a conventional setting. Your room will not be considered complete unless it is lacking a durable luxury bed. Though we have worked a lot on making the pallet wood beds, but each one of them is different in all dimensions. 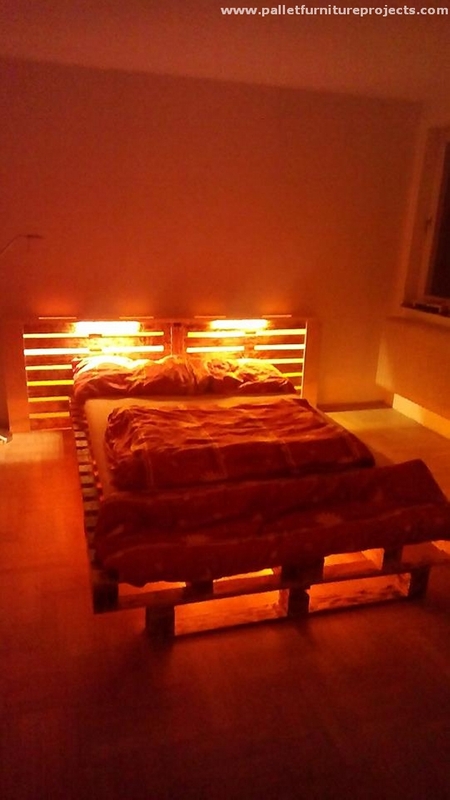 Same would be the case with this stunning pallet wooden bed. And the benefits and utility would be beyond your imagination. First of all have a look on this stunning pallet wood be in the day light. This is pretty obvious some moderately fresh pallets are used in making the basic frame of the bed. And we also see a delicate headboard which is an additional incentive for a room bed. Plus there is built in additional storage space below the bed surface. And lastly a very ravishing and stunning light work is done, some common Edison bulbs are installed inside the headboard with electric supply to light them up. 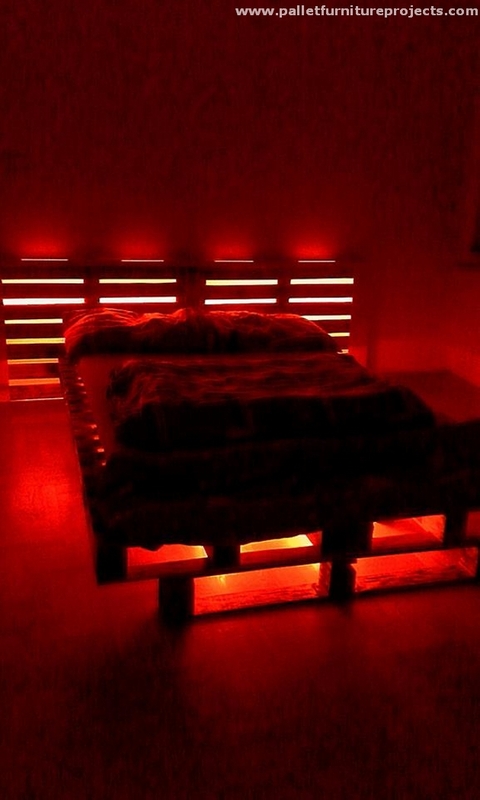 The night view of this stunning bed is quite intoxicating for sure.